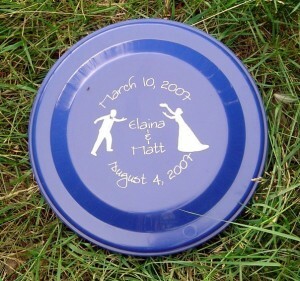 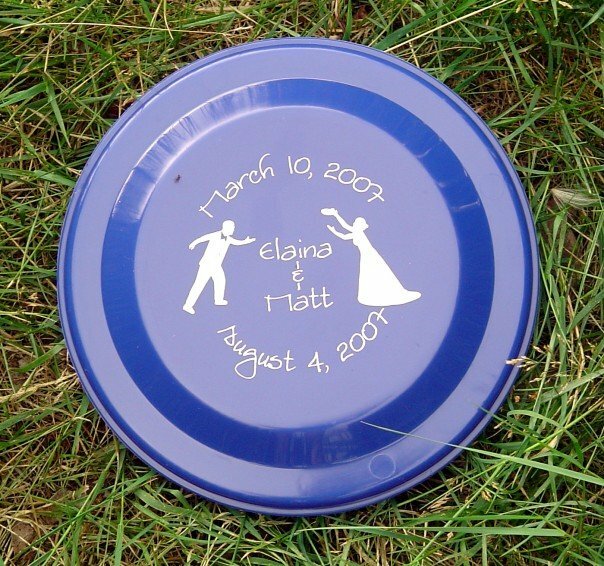 I had a lot of fun creating this design to be printed on disks distributed as party favors at my wedding reception.The disk shows the dates of our private wedding ceremony and the reception that we held later in the year. 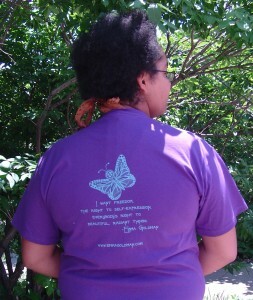 This t-shirt was a popular and effective fundraiser for the Women’s Health Project. 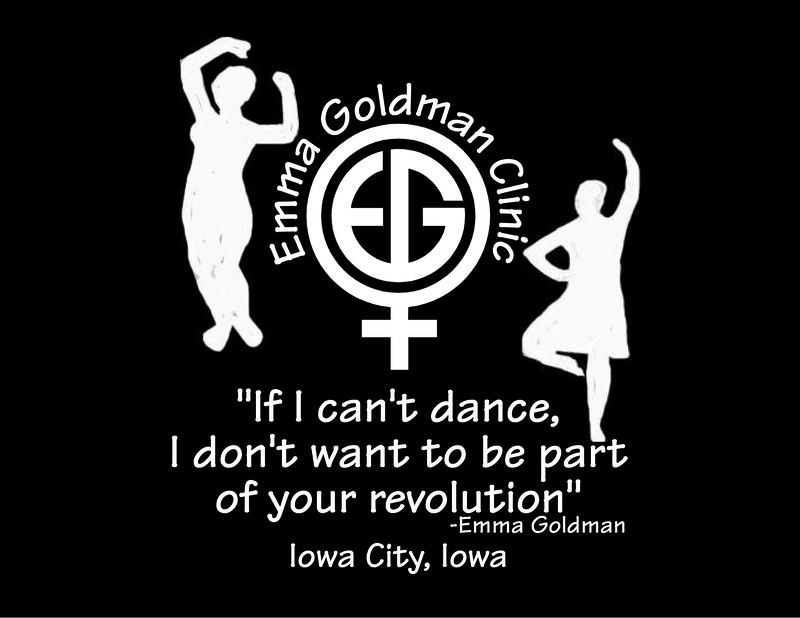 It shows the famous Emma Goldman quote, “I want freedom, the right to self-expression, everybody’s right to beautiful, radiant things.” This design was also re-used on hooded sweatshirts that were given as staff-appreciation gifts. 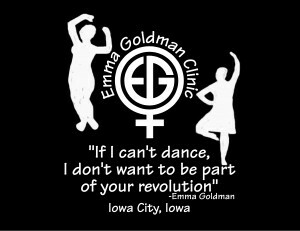 This design, printed on canvas bags to be sold as fundraisers for the Women’s Health Project, includes the famous (if paraphrased) Emma Goldman quote, “If I can’t dance, I don’t want to be part of your revolution”. In 2005, the Women’s Health Project received a grant allowing it to expand its outreach and education services to the local teen population. 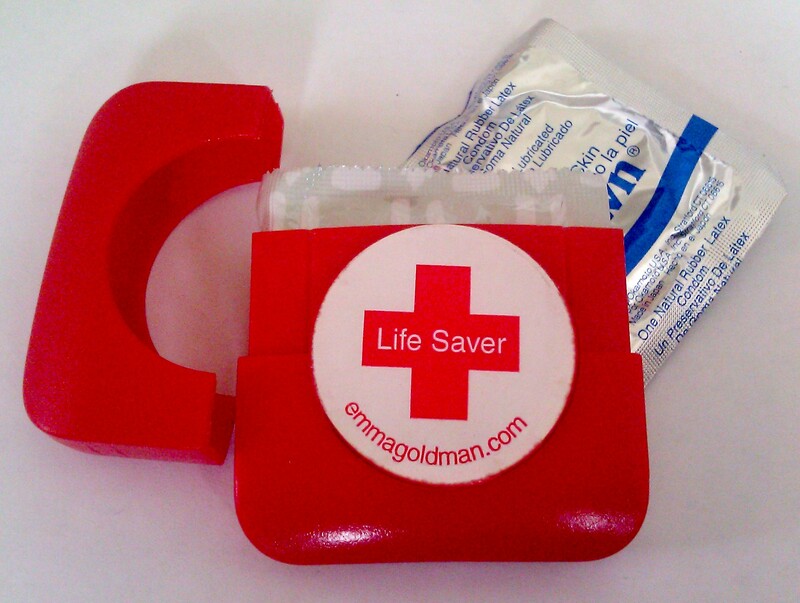 As part of that grant, these condom holders were produced and given away at events. 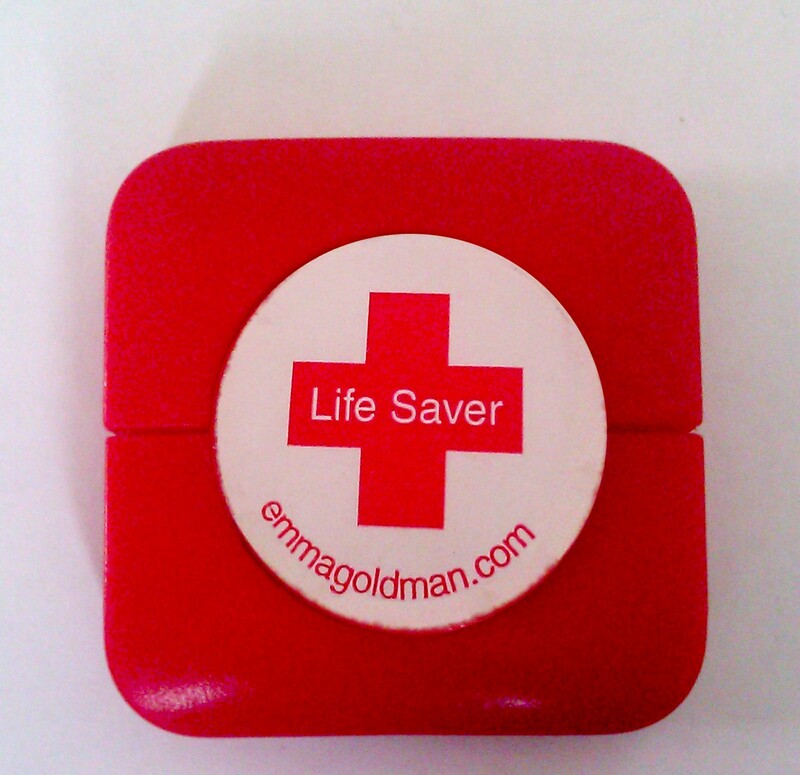 Buttons were popular as funraisers and give-aways at the Women’s Health Project. 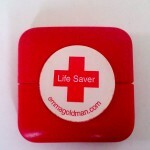 Here is a sample of some of the more popular buttons that I designed for them.